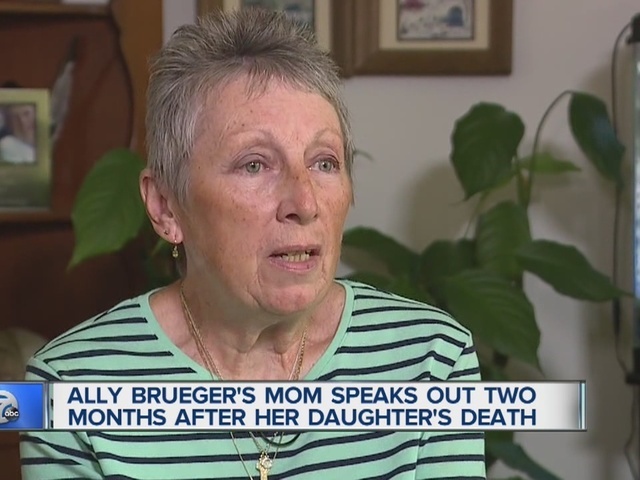 The mother of a murdered jogger is speaking out two months after her death. 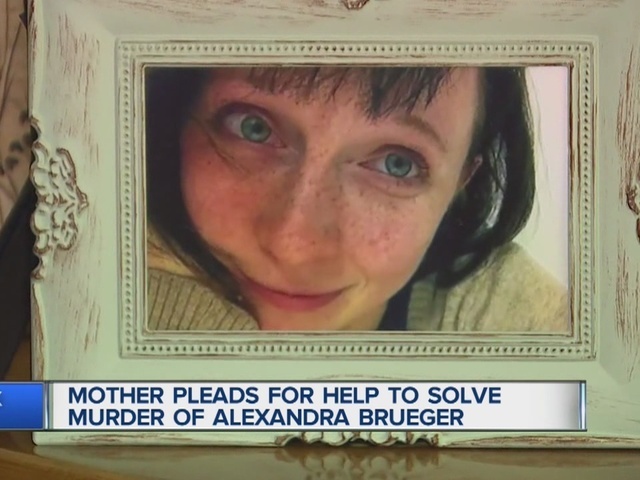 Her daughter, Ally Brueger, was shot and killed along Fish Lake Road in Rose Township while on her daily 10 mile run in late July. “If we could understand why. Why? Why would anybody want to do this anyway. Even if they said road rage, even if it was somebody that drove by way too fast and she had maybe said slow down," Nikki Brueger says. "That doesn’t give anyone the right to get out of their car and shoot her four times. This is a rural area where you would not expect something like this would happen and - it’s just everyone has been violated. Ally, also known as Alex or Alexandra was a nurse at Providence Hospital in Novi. The 31-year-old was a beautiful animal lover. She was also known for her funny dry humor. She was on her run when, out nowhere, someone shot her in the back multiple times. “Whoever did this has got to be extremely damaged to begin with,” said Nikki. "Extremely cowardly to shoot someone in the back. My husband is a Vietnam veteran. He went to Vietnam and came back and he doesn’t even use the word murder. He uses the word assassinate. Murder is shooting somebody once. She was shot four times." Ally was pronounced dead at the hospital. Nikki heard the beyond devastating news while she was attending a mass service at church. She told 7 Action News her only child had no known enemies and always felt safe running in her neighborhood. Nikki knows there is someone out there who can help them get just a little closure: the person who has information about her precious daughter’s murder. A $10,000 reward is being offered for information that leads to an arrest in the case. If you have any clues and want to remain anonymous call Crime Stoppers at 1-800-SPEAK-UP. Meanwhile, Nikki is thankful to all of those who donated money to a GoFundMe account which was set up to help the family pay for the medical costs after Ally’s murder as well as funeral costs. The rest of the money will go to a memorial for Ally. The memorial will likely be built in the spring.